A charming oasis just minutes from Downtown Anderson and Anderson University. This lovely home sits on three fenced, corner lots among an array of wonderful trees and fruit-bearing plants. The freshly painted front walk invites its owners and guests to come in and enjoy the charm of the American mid-century bungalow. The era is well-preserved complete with picture molding and wide trim with a balanced nod to modern with energy0efficient recessed LED lighting in the main living spaces. Through the front door, find two newly carpeted bedrooms on each side of the entryway. Continuing through the living and dining spaces, the light offered through the brand new tilt-out, insulated windows is sure to keep the spaces bright and airy throughout the day, while adding to the overall efficiency of the home (along with newly-updated electrical, plumbing, HVAC, and appliances). Follow original hardwood floors into the kitchen and notice the almost endless counter space with plenty of room for an island overlooking the pony-wall buffet. This house was made to operate with style and function. Another bedroom sits off the kitchen with closet access to the large finishable attic for future investment. Also off the kitchen is the home's utility and laundry spaces and newly built bathroom with all new fixtures. Walk through the backdoor into the three-lot backyard featuring chainlink fencing, two out-buildings, and perfect mix of shade and sun. Room for work, play, and rest. Have a picnic on the side deck or sit under the pecan tree and eat some muscadines you picked from your very own vineyard! 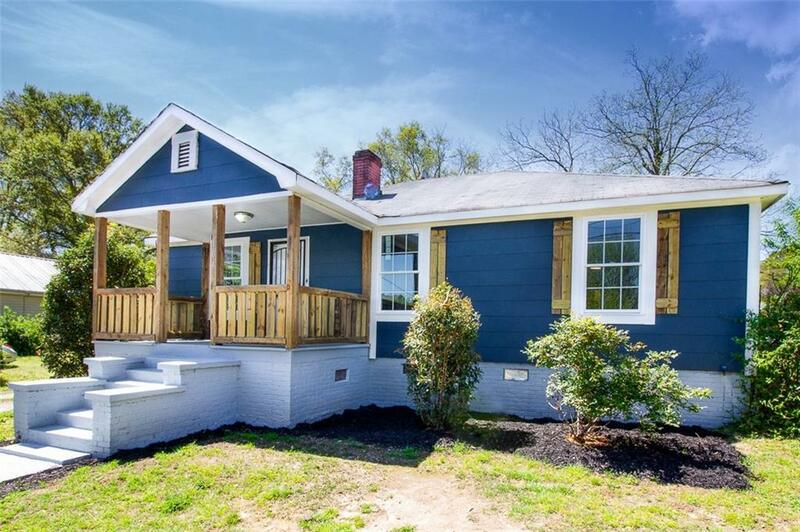 This home is not one to miss if you're looking for backyard privacy, newly updated major systems, and still the warmth of well-made craftsmanship.